This is the graphic for the Fall 2016 Hootenanny charity events held in Texas and Oregon. This year there was a request to do something slightly different than usual and a concept was presented to me to develop. 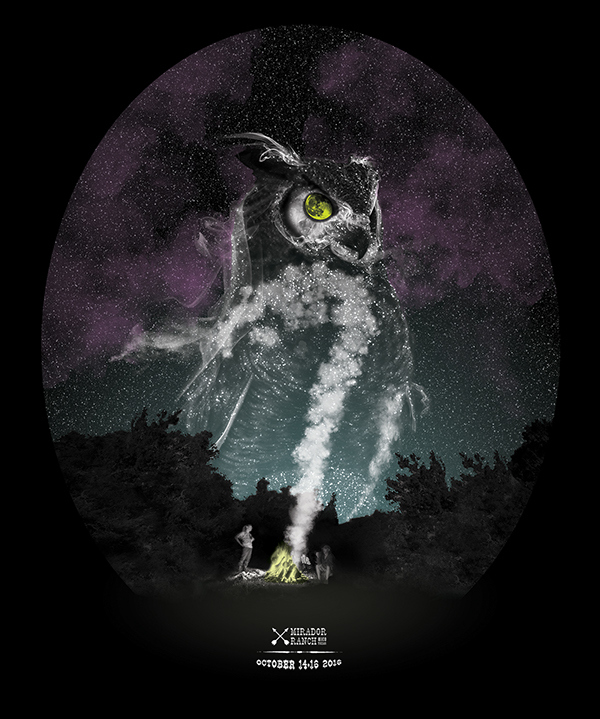 I took the initial idea and came up with this celestial spirit owl that's made of stars, campfire smoke and clouds. The moon acting as the eye looks down on the campers below to complete the illusion. The shirts are used to generate donations at the events which are then delivered to food banks in both states. The T-Shirts are printed in 2 colors, and posters are printed in 4 colors.